I am grateful to Focus on Mexico, where I address the ever-changing topics in Mexico (and elsewhere) of independent living, assisted living, nursing care, Life Plan Communities (CCRC’s – there is only one so far with others being developed). The next talk to the Focus on Mexico attendees is March 21 at 11:15 a.m. at a hotel in Ajijic, Mexico. See https://www.focusonmexico.com/focus-6-day-program/ Focus on Mexico offers seminars to folks interested in how to move to and/or live in Mexico. All presenters at Focus on Mexico are volunteers. On Friday, March 29, I will be speaking at a FREE community event (open to the public) at the Lake Chapala Society Sala in Ajijic at Lake Chapala, Mexico at 2:00 p.m. on Why End-of-Life Planning is a Good Idea for Ex-Pats in Mexico. Wendy Jane Carrel, M.A., a Spanish-speaking senior care specialist, has spent over seven years traveling province to province in Chile, Ecuador, and Mexico researching senior living options. She acts as an advisor or liaison for those who wish assistance negotiating health systems, senior care options, end-of-life care, and disposition of remains. Throughout 2018, I have been invited to address Focus on Mexico participants, a lively and engaged group of mostly retirees from Canada and the U.S. curious about Mexico, curious enough to perhaps make a move. 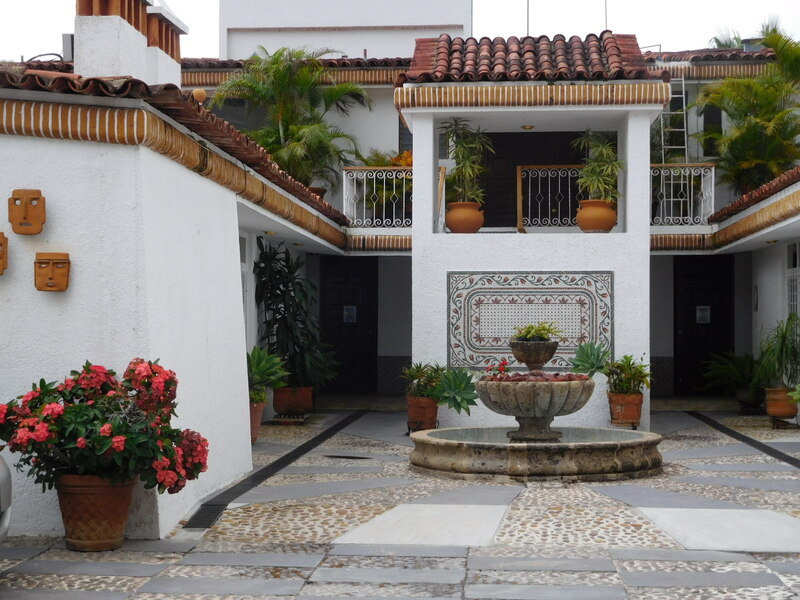 I talk about senior living options, including possibilities at Lake Chapala. I share a power point presentation with a few statistics and show photographs based on several years of due diligence and relationship building in 16 states of the country. I review independent living, assisted living, and nursing care – what’s here, what the differences are from home, what’s missing, and what is being created for the next generation that may be in need – boomers. My VOLUNTEER talk shares an insider’s view for those who wish to consider living south-of-the-border. Other speakers focus on real estate, banking, buying cars, health insurance, medical care, bringing pets, etc. My next talk is the week of October 29, 2018. If you are interested to learn about Focus seminars and activities, please see their web site at http://www.FocusonMexico.com. The popular education group is celebrating its 20th year. Note: My articles are posted on http://www.WellnessShepherd.com. Sometimes they are re-posted on other web sites. If an article does not have my by-line, it is not by me. And, I do not post lists. Some folks with good intentions, but without senior care experience and/or education, write articles and create lists with recommendations. Unless they are health care professionals, they may not be conversant with possible challenges of moving older adults from one nation to another, where the staff turnover is high, how the staff is trained, how med management is handled, what the activities are, and other subjects related to quality of life. According to realtors at Lake Chapala, Mexico, and the information desk at the Lake Chapala Society in Ajijic, the popular ex-pat retirement destination has received more than double the no. of potential renters, buyers, and information hungry folks from Canada and the U.S. than in years before. (Other popular retirement destinations are also seeing an increase in activity – see no. 3 below). Among visitors intent on moving are travel aficionados looking for a unique cultural experience, the prospect of meeting stimulating people from all parts of the world, but more importantly, an opportunity to stretch their dollars. And then there is senior living and healthcare, a subject of interest for most. For “sandwich-generation” boomers who lost savings and/or homes during the American recession of 2007-8, or spent savings for the education of millennial children or grandchildren, many are finding there may be little left for themselves or parents if assisted living or nursing care are ever required. An added concern is that funding for Medicare and Medicaid in the U.S. are currently being challenged. If the cost of assisted and continuing care in Canada (Canada takes care of its disabled, ill, and older adults through universal care programs but there is also private pay care) or the U.S. is not an option, there are more affordable options in other countries. The closest place to look is Mexico. 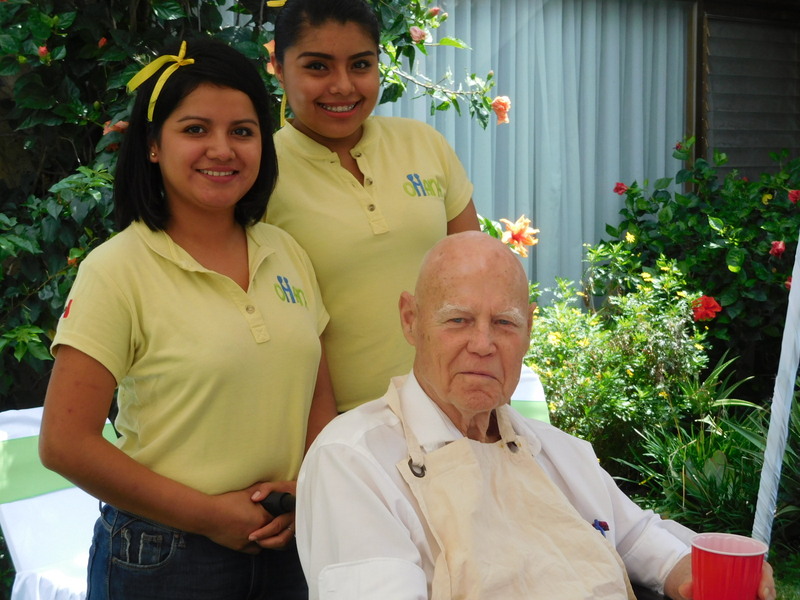 Take note – in Mexico the terms assisted living and “nursing home” are often one and the same, with exceptions. Care facilities are not known as they are north of the border – assisted living, rehabilitation, nursing home, and hospice. It is often an all-in-one approach. Also, with some exceptions, homes mix physically disabled residents with memory care residents. Select cities or areas you wish to be in for climate – coastal, desert, mountains. (Coastal tropical places cost a little more because A/C is expensive). If the future resident does not speak Spanish, seek places with ex-pat communities and English-speaking locals who are often a source of volunteers – Baja California Norte (Ensenada, Rosarito Beach, Tijuana), Cancun, Lake Chapala, Mazatlan, Mexico City, Puerto Vallarta. Or, choose smaller places such as Merida, and San Miguel Allende. Some care homes have all foreigners as residents, others locals and foreigners together. Usually one person on staff speaks English, sometimes more than one. Do the due diligence. Research places and determine costs. Most assisted living and “nursing homes” catering to foreigners have web sites in English easily found on Google Search. Consider private pay homes and non-profits, as well as residences run by nuns whether you are Catholic or not. Nuns often (but not always) provide quality care as most are nurses with a mission to serve, plus costs tend to be what Mexicans would pay if price is a consideration. Another level of care is found in government homes, some pleasant others not; some accept foreigners with residency cards. There are differences in every region of the country, and there are no rules. Note: no two places will be alike – financially, environmentally, socially, and in terms of care. Homes are not regulated with the strict standards one is accustomed to in Canada and the U.S. However, there are places with quality care and high standards. Conduct site visits. Assess for yourself what might be an acceptable match in terms of environment and people. Would you or your loved one feel comfortable and safe? Do you like the space, the staff? How are you welcomed? Do residents seem cared for or are they alone in “God’s waiting room” without attention and activities? Ask residents what they like best and what they don’t like. How clean is the home? Standards differ from place to place. Arrive at meal time… is there enough assistance for each resident? 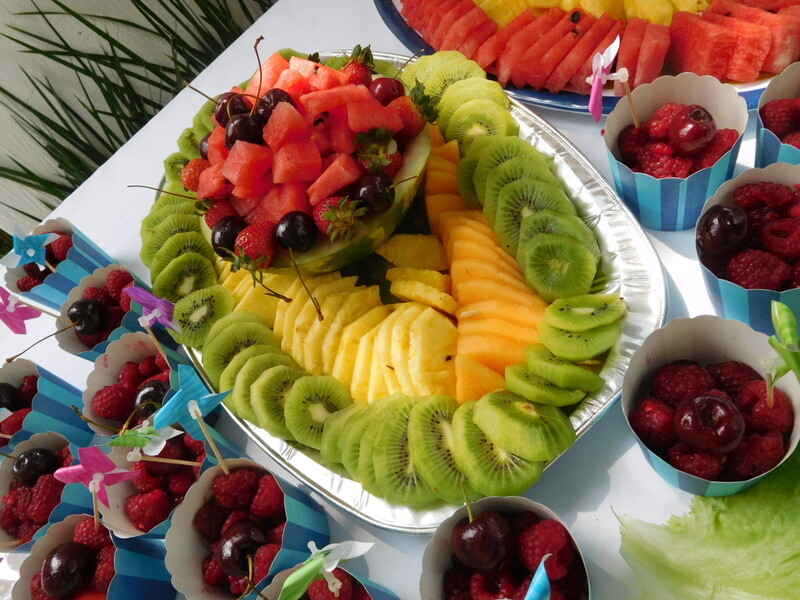 Is food fresh, nutritious, and nicely presented? Is it food you would or could eat? Does the home prepare meals compatible with health challenges? What about care plans and medication management? What about emergencies? How are these matters handled? There are no simple answers for selection. Ideally, we would all have perfect health to our last days and an abundance of funds which would allow us to receive the best possible care wherever we choose to live. Note: CCRC’s (Continuing Care Retirement Communities, from independent living to demise), now referred to as Life Plan Communities, have not arrived in Mexico, with one exception. There are plans in the works for Life Plan Communities in Baja California, Cancun, and at Lake Chapala from American, Canadian, Mexican, and Spanish developers. 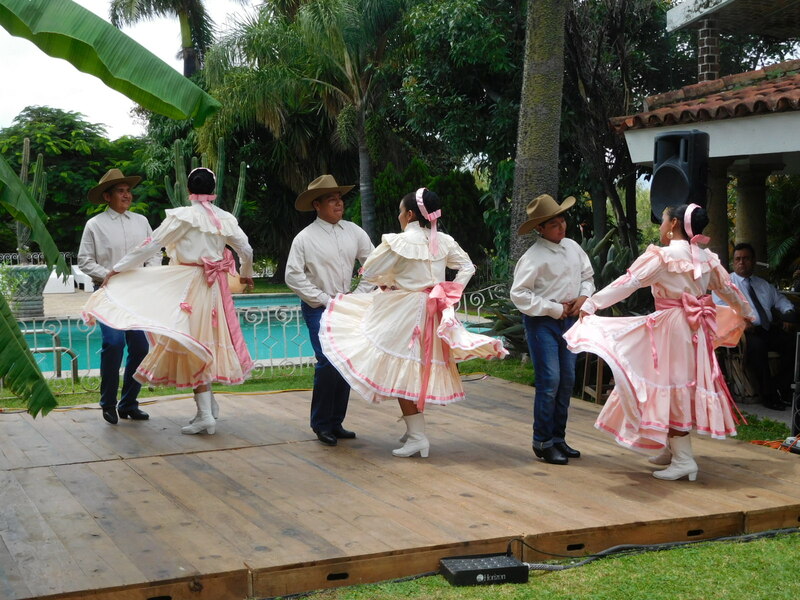 Throughout Mexico, children and grandchildren make a point of spending time with their elders on August 28. They also bring gifts. This year, because the official day is Monday, most festivities and visits were held over the weekend. Note: The tradition of celebrating Grandparents Day was instituted in 1983 under the presidency of Lazaro Cardenas. During the 1990’s, announcer Edgar Gaytan promoted the special day on a radio program dedicated to older adults. It has become an important event for families. 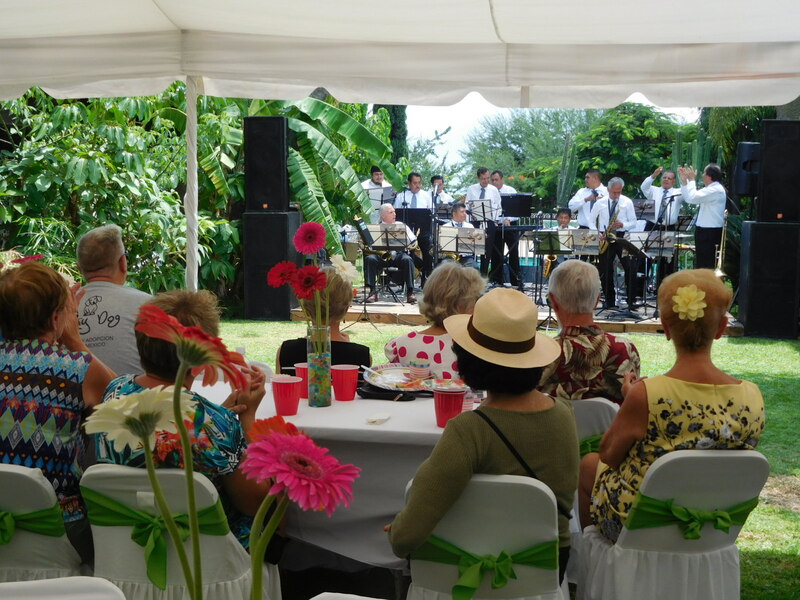 This year, Ohana Assisted Living in San Juan Cosala at Lake Chapala in the state of Jalisco honored its residents with a grand party that included relatives and friends, staff, folkloric dancers, an extraordinary jazz band with musical choices remembered by the generation of residents, and a beautifully prepared buffet. 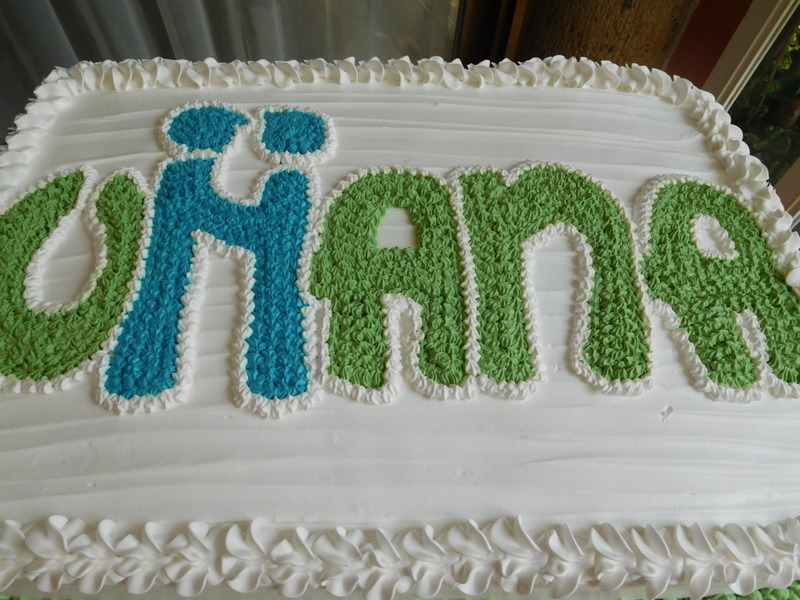 The residents at Ohana are from Canada, Mexico, and the U.S. 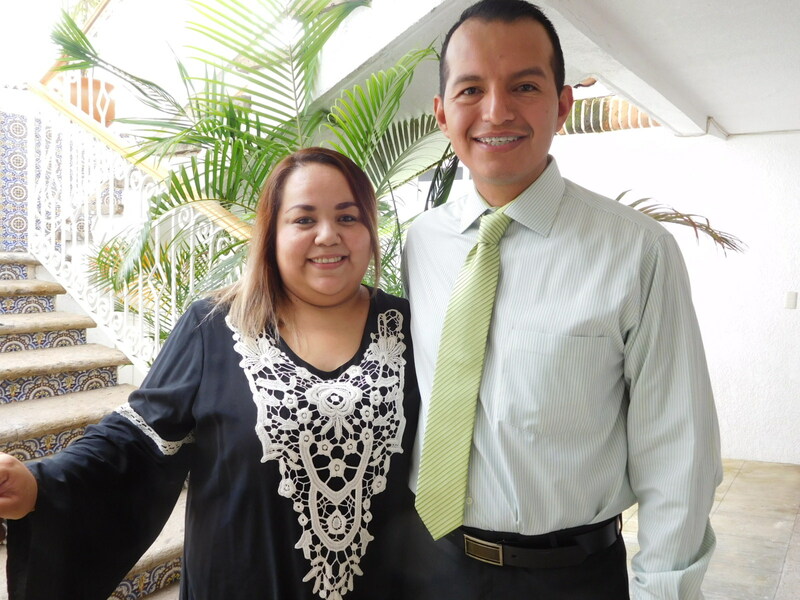 Hosts Ana and Alonzo, both geriatric nurses who live on the lovely campus, warmly greeted all. They produced a memorable event. The dancers changed costumes three times and by the end of their performances they had gone from pastels to bright and colorful red, white, and black!! Loved the zapadiada dancing. Fun for all.